When does the state of tension increase? Thanks to the reading of a simple series of numbers generated by the use of bar codes, you can apply some automation to completely remove those annoying mistakes. 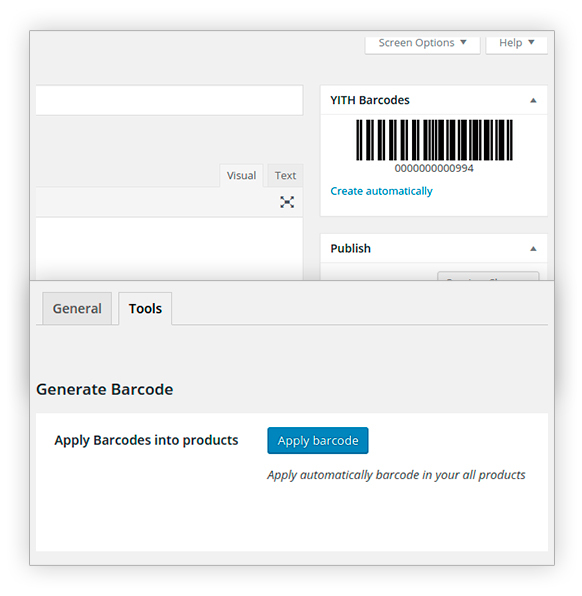 New: filter products by their barcode and manage the stock dynamically. 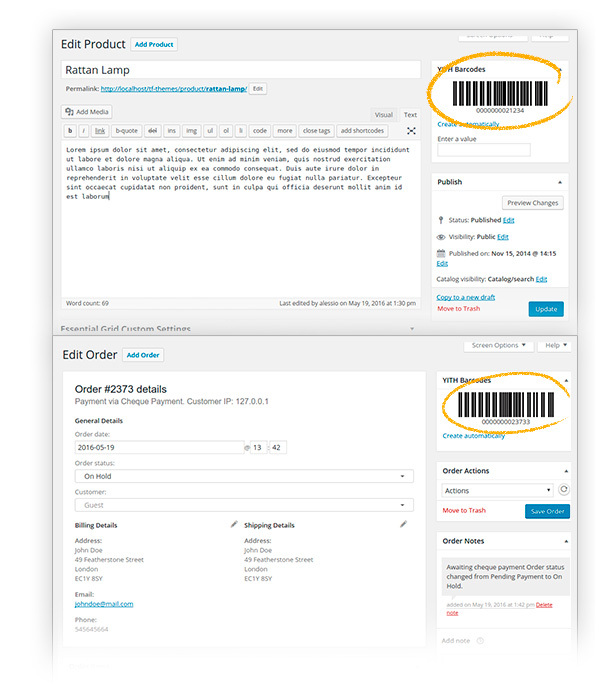 New: filter orders by their barcode and manage the order status dynamically. 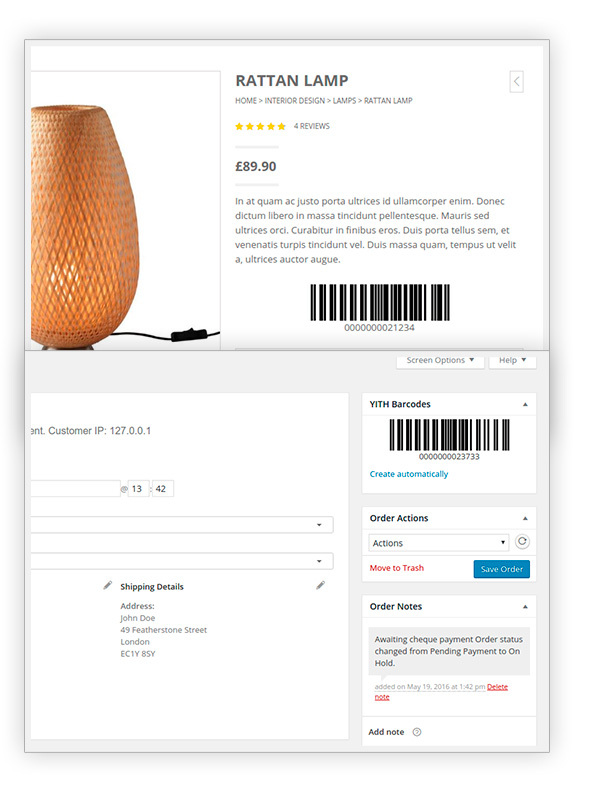 New: template ywbc-search-products-row.php shows details about a product matching with search criteria.  New: template ywbc-search-orders-row.php shows details about an order matching with search criteria. Update: template ywbc-search-products.php was split and now uses template ywbc-search-products-row.php. Update: template ywbc-search-orders.php was split and now uses template ywbc-search-orders-row.php. 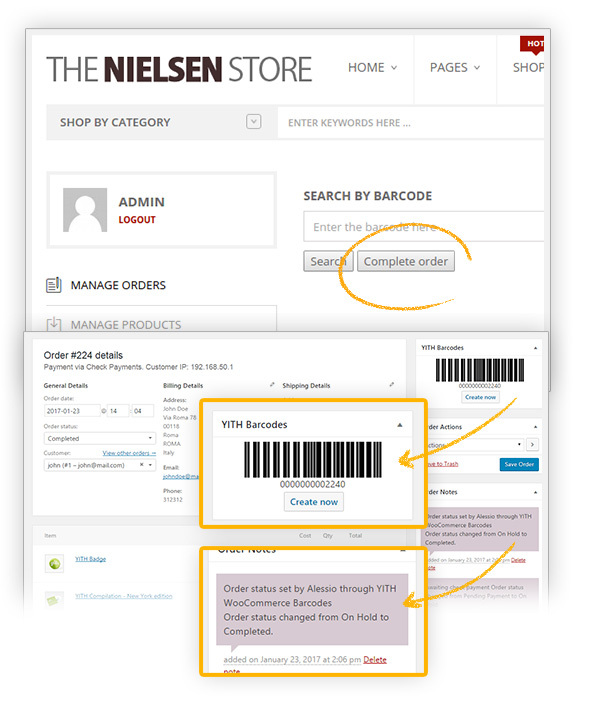 Fix: missing barcode on customer email. 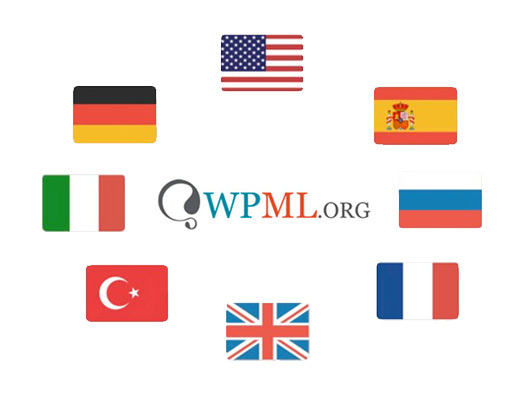 not compatible with other pluginsDespite they advertise the plugin to be for WooCommerce it doesn't work correctly with another wc plugin I used. It doesn't make sense. It seems like they only want to force people to buy their products. Disappointed. Basic plugin, shows the info I need, the advised app to scan also works well with the plugin. Thank you for the additional support I needed. Good for nowFor now the plugin works fine for me, its good, fits my needs, but I do hope that they will keep updating and improving it along the way. Hello Nicola! Unfortunately, this integration isn´t available yet. 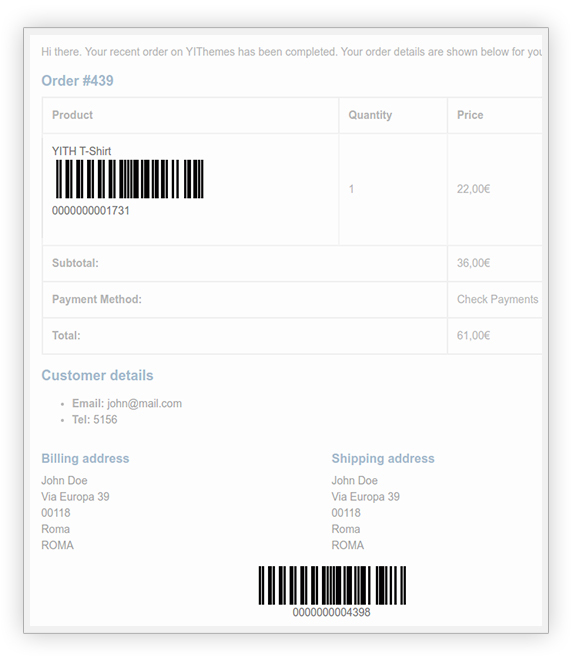 Our developer team is studying the possibility of more integrations with YITH WooCommerce Barcodes and QR Codes. 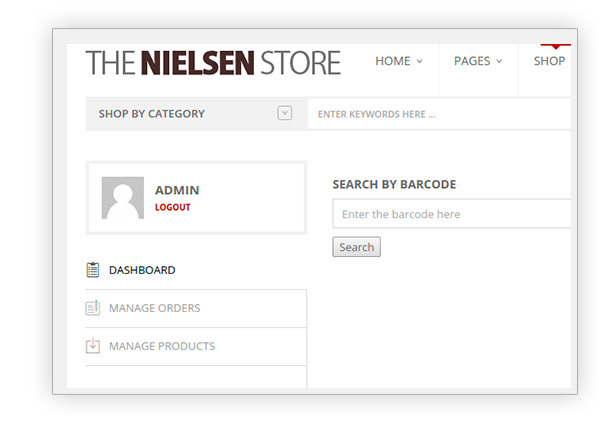 The plugin is created to use in a online shop with WooCommerce. 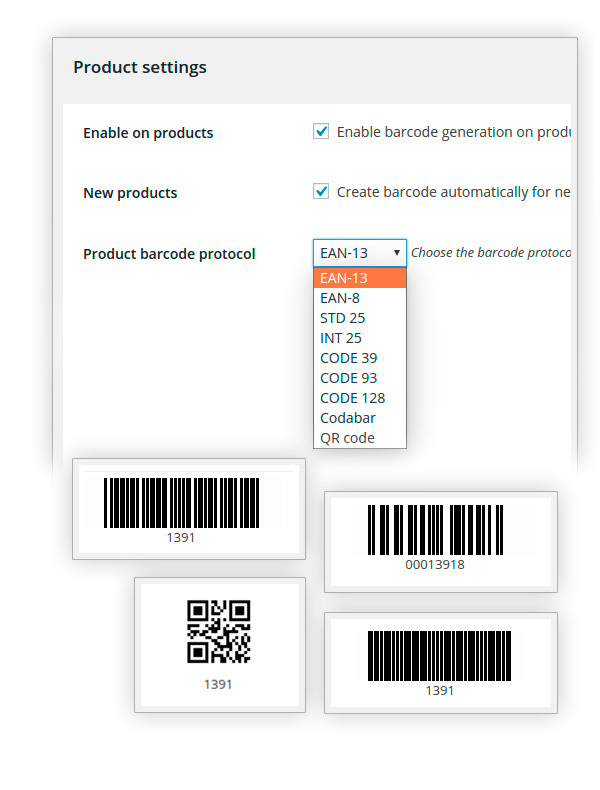 We cannot add the ability to print the barcode using a thermal printer easily, because te plugin is not designed like that. Hi, Daniela! For our testing purposes, we usually use the app https://barcodetopc.com/. You only need to install it on your smartphone/computer and connect it via Wi-Fi. Unfortunately, we don't have an integration with this plugin, so I'm afraid we cannot grant they will work as expected. I'm sorry. 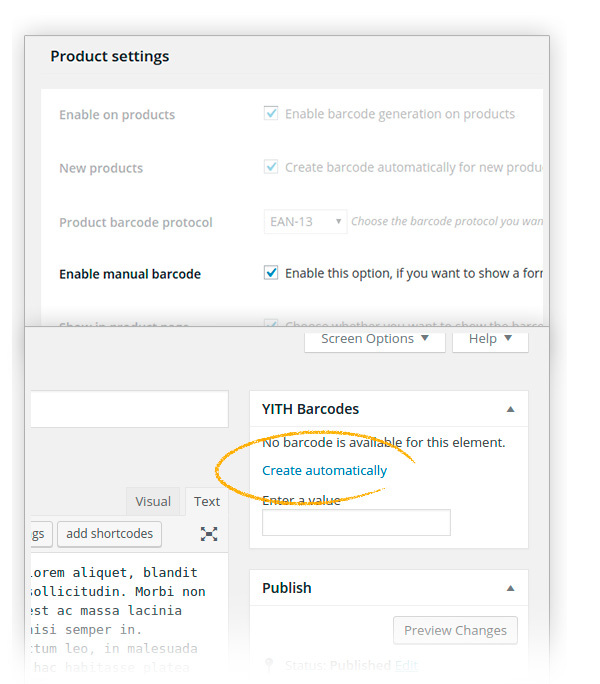 It is possible to import the barcode values with a CSV on All Import or with the default WooCommerce product importer, but unfortunately, the barcode images are not automatically regenerated on imports.